One thing which is true, and of which every discerning Christian should be aware, is that when one’s theology has a serious error, this will almost always lead to a compiling of errors. It is rare when one has a major error in one part of his theology with no further problems. Look at every denomination which has allowed women pastors (UCC, UMC, PCUSA, Episcopal Church, ELCA) and you will see how they soon approved of homosexuality, abortion, and the social gospel. What happens when churches leave behind the plain reading of Genesis 1 and bend it to fit evolution? Noah’s flood also disappears. Other texts become fables and analogies. Look at the cults and how one change leads to others until they are full-blown heretics. What about individuals? I have found the same thing. Let me give an example of what happened to a very dear friend of mine who became a Christian in his early 20s. This friend has a brother who also became a Christian many years later, but with a more legalistic fellowship which considers worshiping on the Sabbath to be required for Christians. This brother has decided what is and what is not to be considered holy in regards to other issues. For example, if one mentions a that a young lady is growing into a beautiful woman, or that she is pretty, then it must be because the person saying such is lusting after the young lady. Apparently you can only speak of a woman in such a manner if she is your wife or blood relative. In other issues this brother claims that, although my friend did not claim to believe something, the brother said that didn’t matter because he, the brother, knew what my friend was really thinking. Now that you have an idea of how legalistic theology has led to being un-biblically judgmental, let me tell what recently happened. My friend’s brother brought up all sorts of sins from my friend’s past - from the time he was a young teen until he became a Christian - and railed about what a horrible person my friend was then, and how he is really the same person as he was then. I know my friend very well, and have known him for years, and he has often talked about how he is glad to have been saved from the sinful life he led before Christ forgave him. He is certainly not the person his brother claims he is. You see, legalistic theology has blinded my friend’s brother to the forgiveness in Christ, and that in Christ we are all new creatures. His brother is still holding grudges from things that happened to him 45 years ago, and cannot understand that he himself was a sinner who Christ forgave! I have seen this behavior over and over again in many legalistic assemblies and by many legalistic Christians. They are extremely judgmental, claiming to know what is in the hearts of fellow believers, and pointing out every sin they know about, and forgetting that they are also sinners saved by grace. Forgiveness is one of the main things I have found lacking in all these situations. The moral of my story? Remember that you, too, are a sinner. God has forgiven you through Christ and holds no grudges for past sins, let alone current ones. Therefore, just as God through Christ has forgiven you, you also are to forgive your brothers and sisters in Christ and let go of grudges from sinful pasts. Don’t hold people to standards you invent but aren’t found in Scripture, and never, ever pretend to know another person’s thoughts - THAT is unbiblical judging. The following is a repost from 4/18/08. It is by Henry A. Ironside (1876-1951), and sounds as if he is addressing today's church! The Church of God has gone into the entertainment business! People must be amused, and as the church needs the people's money, the church must supply the demand and meet the craving! How else are godless hypocrites to be held together? So the picture show and entertainment...take the place of the gospel address and the solemn worship of God. And, thus, Christless souls are lulled to sleep and made to feel "religious" while gratifying every carnal desire under the sanction of the sham called church! And the end? What an awakening [in eternity]! The Savior could not see through the portals of the tomb. Hope did not present to him his coming forth from the grave a conqueror, or tell him of the Father’s acceptance of the sacrifice. Was Ellen White right about this? In Luke 24:6-7 the angel tells how Jesus said he would rise again on the third day. In John 2:9 Jesus said, “Destroy this temple, and I will raise it again in three days.” And in John 10:17-18 Jesus says that he has the authority to not only lay his body down but to also take it up again. So it is plain in Scripture that Jesus did indeed know that he would be returning from the grave as a conqueror. E. G. White is proven to be a false teacher. At the risk of being bombarded again with complaints and nasty-grams from the followers of Beth Moore, I am going to say some more about her false teachings! I know this is hazardous to my sanity, but a man’s gotta do what a man’s gotta do. This blogger is a WOMAN! Shock, upon shock for all those previous followers of Beth who claimed the only reason I condemned Moore’s teachings was because I am a man. How are they going to handle Elizabeth’s reviews? For anyone interested in Beth Moore’s teachings, these articles should be of great value. Perhaps the followers of Beth could open their eyes to some objective analysis of the false teachings Elizabeth exposes and rethink their devotion to all things Beth Moore. Then you go back to the beginning. So is the fact that there is only one God, King, and body really the reason we can sing? In a previous church I attended we were supposed to all hold hands while we swayed to this song. I really, really didn’t like that. Well, we had a much better song before the sermon, Wonderful Grace of Jesus, which is a good reminder of His grace. Greater than all my sin. Deeper than the mighty rolling sea. Greater far than all my sin and shame. Reaching to all the lost. Making him God’s dear child. The most important factor in a man's ministry is not the number of converts he has (or how many people attend his church), but whether he is faithful to the Lord. Adam No More Real Than Santa? The following is from Jan Markell’s Understanding the Times newsletter from Olive Tree Ministries, July/August 2011 issue. Jan’s radio guest on June 18, 2011, Ken Ham, sounded a warning about the June issue of Christianity Today. Ham, and his Answers In Genesis ministry, always attempt to stand for truth with regard to issues related to the book of Genesis. The June issue of CT spends a lot of ink searching for the historical Adam, or more precisely, explaining why we shouldn’t expect there to be one unless we’re willing to redefine what we mean by historical. The issue, which gives a hearing to many opinions, eventually concludes with something analogous to “No, Virginia, there really wasn’t one, but if you think his existence is really foundational to your beliefs, we’ll just agree that the jury is still out and not worry about it. After all, science rules.” In other words, Christianity Today is once again challenging the authority of God’s Word. The magazine attempts to support a Genesis story that is a nice allegory explaining how God gave human beings a “spiritual and moral nature.” Christianity Today has been moving Left for decades and is coming close to abandoning some tenets of orthodox Christianity. Mary Baker Eddy, Science and Health with Key to the Scriptures, p.12. I don’t need Scripture to address this nonsense. A drug “has no efficacy of its own”? Well, when it comes to placebos when dealing with psychosomatic illnesses, what Eddy says is true. However, this is not what she is referring to. Real drugs have real effects whether you believe in them or not. Medicine, science, biology, physiology, etc all prove that drugs have effects on the human body. For Eddy to say different defies common sense, and yet her followers still believe this just because she said so. Harold Camping has been a false teacher for at least 20 years since I first heard him on the radio, yet during all this time I have rarely read anyone teach against him until his latest false prophecy of a May 21st rapture. Oh, there were those solid watchmen of various apologetics ministries who would publish things about him, but mainstream Christianity seemed to ignore him as his radio empire grew larger and larger. Now it seems that Camping’s teachings have had disastrous results. According to news reports, especially the latest I’ve seen from World Net Daily, many Hmong people of Vietnam have been shot and beheaded by government officials when they gathered on a mountain praising God for the Camping predictions. Many others were arrested and now about 7,000 are hiding in the jungles. In California a lady upset by the failure of the Rapture slit the wrists and throats of her two daughters and then her own so as to avoid the “Tribulation”. Fortunately a neighbor called an ambulance and saved their lives. Camping, of course, says none of this is his responsibility. Pastors and other church leaders, this is why we must name the names of false teachers and false prophets FROM THE PULPIT!!! Get the word out to as many as possible so as to expose the likes of Camping and his ilk. Expose the Word Faith teachers, expose the Bill Gothards, the Jim Wallises, the Rick Warrens, the Joel Osteens, the Eugene Petersons, the Rob Bells, the Brian McLarens, and all their ilk. Warn people that to follow these men will bring pain and suffering into their lives. Part of a shepherd’s job is to protect the flock from wolves, and yet that seems to be the one part of the job which is most neglected. 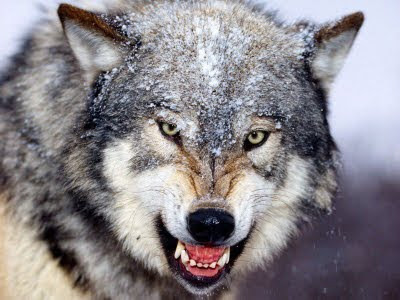 Christian leaders, expose the wolves! This is a repost of one of my very early articles from over three years ago. I think it’s a good time to dust it off! I have had some people complain that the apologetics ministry is “counter-productive” to the mission of the church. Comments have ranged from the ridiculous (“Doctrine doesn’t matter - only love matters”) to the misguided (“Go build the church. Show us how its done. Anyone can sit back and launch a spur of complaints, but that does not and never has accomplished anything”). But is this a true view of apologetics ministries? What does the Bible say? Should we be warning the church against false teachings and false teachers? Should we expose false teachers and teachings? What about correcting error? I will let the Scripture speak for itself before I finish with a short summation of the purpose of apologetics, and why the apologetics ministry is a viable part of the Church. Let’s first look at the Old Testament. God speaks against false prophets and gives warnings to bad leaders: Jer. 23:1-2, 16, 30-32; Ezek. 13:1-7; Ezek. 34:2-10. God also gives guidance on how to identify false teachers: Deut. 13:1-3; Deut. 18:22; Is. 8:20. However, it is in the New Testament where we find a lot of Scripture that condemns false teachers and false teachings, and often in not very kind words. We will find commands to not teach falsely, commands to watch personal doctrine, and condemnation of false teachers. Almost every book has teaching of this nature. 1 CORINTHIANS: Paul rebukes the Corinthians for their divisions, and he condemns them for tolerating sexual immorality. He specifically states Christians are to judge those who claim to be part of the Church. Paul also warns them to flee from idolatry. And, finally, Paul challenges them to check their doctrinal standards. 2 CORINTHIANS: Paul says for the Corinthians to be holy in every thing they do, and he also says not to be joined with unbelievers in their practices, that they cannot have fellowship with darkness. Paul warns them that they are fighting a spiritual war of the mind, and our weapons are spiritual in nature. He then says, “But I am afraid that just as Eve was deceived by the serpent’s cunning, your minds may somehow be led astray from your sincere and pure devotion to Christ. For if someone comes to you and preaches a Jesus other than the Jesus we preached, or if you receive a different spirit from the one you received, or a different gospel from the one you accepted, you put up with it easily enough.” (11:3-4). As Paul progresses in chapter 11 he warns them of false teachers and apostles and that even Satan can transform himself into an angel of light. GALATIANS: “I marvel that you are turning away so soon from Him who called you in the grace of Christ, to a different gospel, which is not another; but there are some who trouble you and want to pervert the gospel of Christ. But even if we, or an angel from heaven, preach any other gospel to you than what we have preached to you, let him be accursed. As we have said before, so now I say again: If anyone preaches any other gospel to you than what you have received, let him be accursed.” (1:6-9) This is an excellent summation of Paul’s attitude towards false teachers. Notice that he is not soft-spoken - “let him be accursed.” In 2:11ff Paul tells how he challenged Peter to his face for his hypocrisy. Galatians is all about the false works-oriented salvation message which was coming into their assembly. And Paul calls the Galatians “foolish” for listening to such false teachings. EPHESIANS: Paul warns the Ephesians to “have no fellowship with the unfruitful works of darkness, but rather expose them. For it is shameful even to speak of those things which are done by them in secret.” (5:11-12). He later tells them they need the whole armor of God to protect themselves against the devil - that it is truly spiritual warfare (6:10-18). COLOSSIANS: Paul warns the Colossians about people trying to persuade them against the gospel, and that they are to avoid worldly philosophies and traditions, and to let no one judge them by legalistic standards. 1 THESSALONIANS: Towards the end of this letter Paul tells them not to despise prophecies or quench the Holy Spirit, but rather to test all things so as to hold onto what is good and reject what is evil. TITUS: Paul tells Titus that he is to “Reject a divisive man after the first and second admonition.” In other words, the man must first be warned twice that he is teaching falsely. This listing is by no means exhaustive, but it demonstrates that false teachings are not to be tolerated, that the Church is to be warned against false teachers and their teachings, and that strong words may be directed at them. Okay, so here is the point. Apologetics ministries aren’t there to evangelize or to build churches. Those are totally different ministries which work to spread the gospel and enlarge the flock. Apologetics ministries are there to protect the flock once they have been brought in. As apologists, we ensure the teaching is true to the Bible, and that the flock isn’t led astray by wolves or led into confusion by false teachings which can do anything from burdening them with legalism to leading them into apostasy. Junk food theology can be spiritually poisonous and must be protected against. Discernment is the immune system of the church, and apologetics ministries teach discernment. Apologetics is the handmaiden to the Gospel. Yesterday at our church we sang one of my favorite songs, Charles Wesley’s And Can It Be? I never heard this song until we began going to Bible churches instead of Lutheran churches. I think it has some powerful words to meditate on. And claim the crown, thro’ Christ, my own. I have found texts with more stanzas, but these four are what I usually find in hymnals.